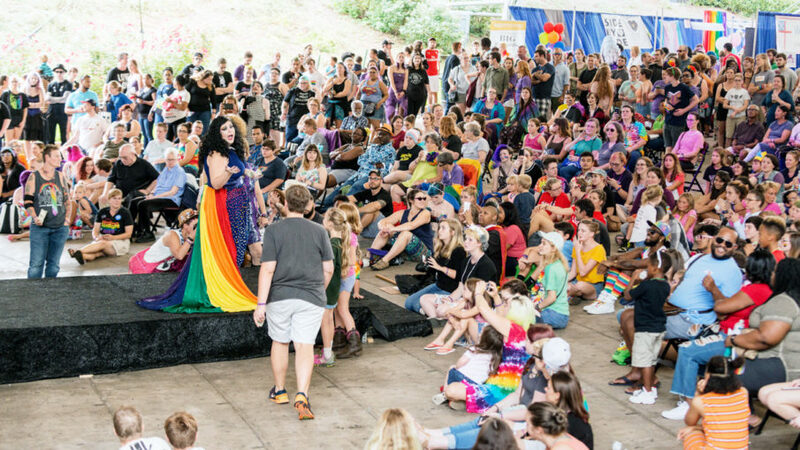 Want to perform at the 2018 Cville Pride Festival? Sign up is now open. We’re looking for singers, dancers, bands, drag artists, of all ages and styles, with special emphasis on performers or themes that celebrate LGBTQ culture and expression. We don’t pay performers, but we do publicize you to over 9,000 or more of our followers on social media and email – visibility that increases to over 60,000 impressions during festival time – and you get to perform at the Sprint Pavilion on the Downtown Mall in Charlottesville, in front of crowds that throughout the day reach to the thousands. Be part of a fun, uplifting, joyful celebration! Questions? Email our entertainment director.